Vijay Devarakonda is a youth Icon and Heartthrob actor. What ever he do, he trends in Internet. In no time he become a popular hero in Tollywood Industry. His films are digging gold at Box office. Though being a busy actor, He did a Music video which is now trending in You Tube. 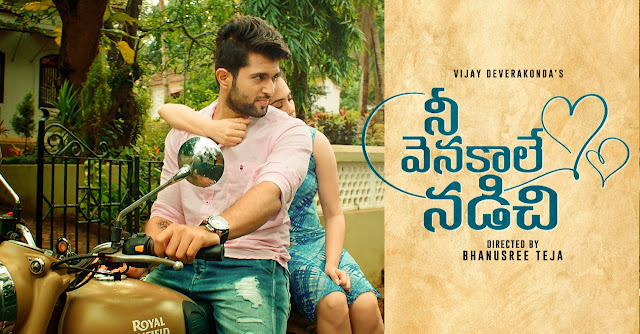 The Music video Nee Venakale Nadichi featuring Vijay Devarakonda and Malobika MJ is instant hit and is trending in You Tube with one Million views in just three days. To everyone's surprise, this Music video is directed by a young Telugu girl called Bhanusree Teja. Previously, She did a Hindi music video 'Aayat Bane Hum' which is on T-series You Tube channel. Bhanusree Teja is having international music singles on board. The song is releasing in three Languages. The Telugu version is released by Akkineni Naga Chaitanya and Tamil version by Anirudh. Hindi Version is yet to release.